India Post Payments Bank Limited (IPPB) invites online Applications for recruitment of Scale II and Scale III Officers. The Online Registration start from 7th October 2016 and close on 1st November 2016. 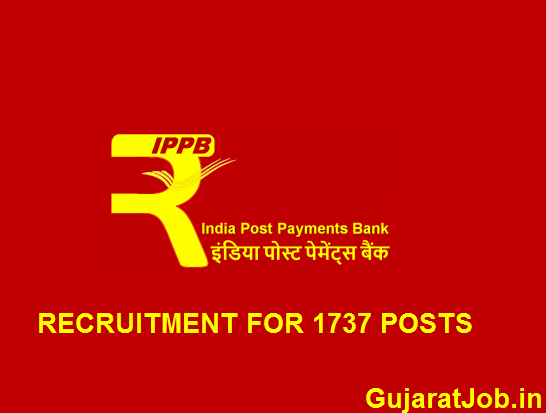 India Post Payments Bank Limited (IPPB) invites online applications from eligible qualified Indian Nationals for recruitment of Scale I Officers (Assistant Manager - Territory) for filling up total 650 Vacancies in IPPB various Branches all over India. The last date for submission of online registration is 25th October 2016. IPPB Bank (India Post Payments Bank Limited) Recruitment of Scale IV and above Officers. Qualified Indian Nationals Apply Online through India Post on or before 25th October 2016. Recruitment of Scale IV - VI Officers. Age Relaxation: The candidate should be born not before 02.09.1986 and not later than 01.09.1996 (both dates inclusive). The Age Relaxation 05 Years for SC and ST; 03 Years for OBC; 10 Years for PWD. Minimum Educational Qualification (as on 01/09/2016): Any Graduate Degree (Minimum 60% Marks for General / OBC, 55% for SC / ST) from University/ Institution/ Board recognized by the Government of India (or) approved by a Government Regulatory Body. Application Fee: ₹ 150/- (Intimation Charges Only) for SC / ST / PWD Candidates; ₹ 700/- for General and OBC Candidates. The Candidates have to make the payment of requisite fees / intimation charges through Online Mode only. How to Apply: Eligible candidates can apply only for one post. The Online registration available at IPPB's authorized website (India Post). The last date for submission of online applications is 25/10/2016.